Recently I had the opportunity to shoot at a venue that I had not worked at before. The Red Fez Shrine Club sits on the shores of Lake Wylie, within eye-shot of the Buster Boyd Bride that links North and South Carolina. 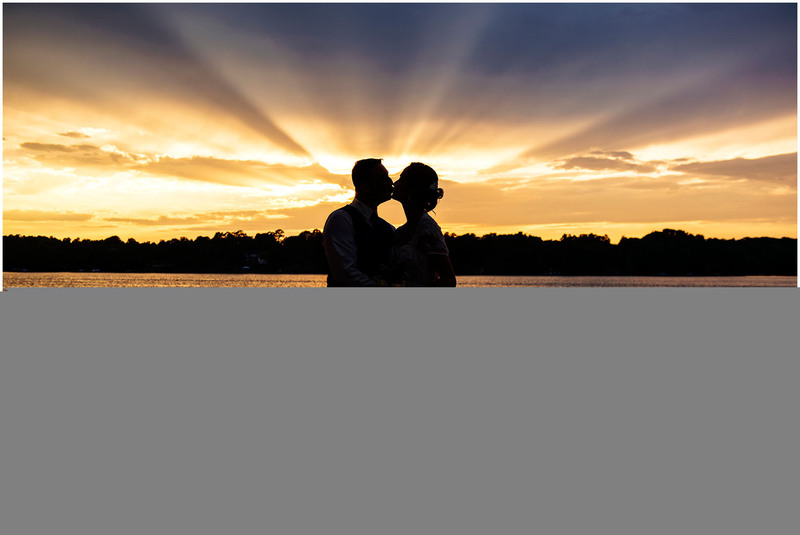 It has picturesque views all around the property and a wonderful spot right on the lake for wedding ceremonies. Best of all, it sports some spectacular sunsets as you will see below. Sherrelyn and Richard would chose this spot as the site of their wedding and I was honored to be there to capture their nuptials. Sherrelyn was stunning in her wedding dress and I love her pre-ceremony pictures lit from a single window. After the ceremony we used the lake as our backdrop for a few romantic shots of the Sherrelyn and Richard, before finishing up later in the evening with some silhouettes at sunset. What a wonderful day it turned out to be! Here are some of my favorites from the day.